It looks like the Chinese were, allegedly, fishing where they weren't supposed to be. After an altercation with the Argentine coast guard, including allegedly attempting to maneuver their vessel for a collision, the Argentines opened fire and sank the vessel. The crew of the ill fated fishing vessel was rescued by the coast guard and are safe. Goodness knows what this will do to relations between the two countries. Details can be seen on CNN here. It looks like the Chinese are at it again when it comes to fishing outside their territories. It has also been happening here in the Philippines for a long time now. Big Chinese fishing vessels getting into our seas but our coast guard doesn't have the same abilities as the Argentinian coast guards have. For a long time now, Chinese vessels have been coming inside our territory illegally getting our giant clams and consequently destroying our coral reefs. Our poor fishermen and the residents residing near the area could only look in sadness and dismay at what the Chinese poachers are doing to our precious coral reefs. Over the years, I have read that it is pretty much standard operating procedure for the Chinese to fish where they don't have a legitimate right to. Most of the reports were from Japan, Australia, and The Philippines, but I'm surprised they are engaging in hijinks as far away as Argentina. Yet, here we are. Being that I have family down in Argentina, I am familiar with the culture, to some extent, down that way. All I can say is this response wasn't too much of surprise to me. The Chinese do tend to break maritime laws quite often when it comes to fishing where they aren't supposed to. I guess the Argentinians got a little angry and did more than they should have. It might affect their relationships, but the Chinese must realize that they broke the law and therefore acknowledge the fact that the Argentinians reacted appropriately to some extent. Some sort of proper agreement must be made so that the offending countries receive the correct punishment. The Chinese claim ownership of the Scarborough Shoal islands but their thirst for more resources has encroached upon the sovereignty of other countries. 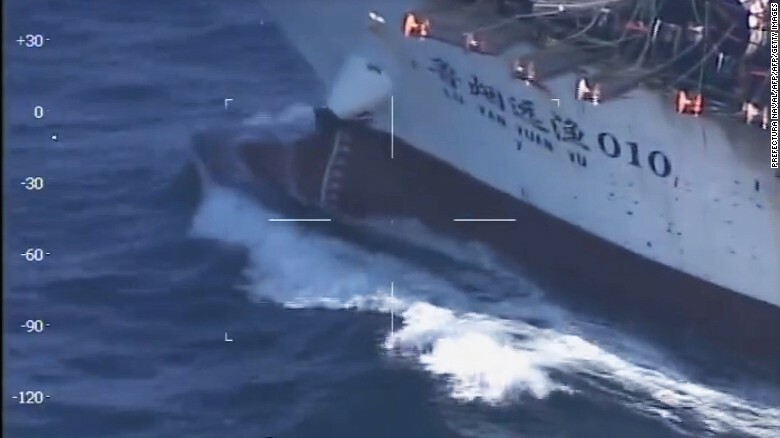 Argentina did the right thing by sinking that trespassing Chinese ship. What, are they going to claim they own Latin America as well because Chinese pottery dating back to the Qing Dynasty was unearthed there? Their self-justified greed seems to have no end. Usurping territories and exploiting the resources of other nations is not the right way to progress.